Chiweenie - What's Good About 'Em? What's Bad About 'Em? Chiweenie is generally adorable dog with pretty and somewhat long ears. The long floppy ears are a resemblance of their origin the Dachshund. However, not all Chiweenies have long floppy ears. Their appearance may vary widely from one dog to another. They are fun loving and easy going the; dogs; hence they can quickly bond with humans. Chiweenie also needs an endless amount of love and attention. They do not like being left alone and do not like being treated harshly. The Chihuahua-dachshund mix is practically a baby on your laps when they are young. What is the life expectancy of a Chiweenie? How much Does a Chiweenie cost? Chiweenie is a cross breed between a Chihuahua and a Dachshund. Their physical appearances may vary from one dog to another. They are generally small with a long body. Their ears may vary from long floppy, resemblance to the Dachshund, to the little ears like the Chihuahua. In either case, Chiweenies are very beautified dogs and among the most loved designer dogs. They come in a wide array of colors, but you will not find a solid color. They are usually in a mix of black, blond, brown, white and tan. This is one feature that gives Chiweenie unmatched beauty. As if that is not enough, Chihuahua-dachshund mix comes with an exceptional silky coat. Their coats are usually short or medium and may vary from one dog to another. One fascinating fact about Chiweenies is how they can shift their physical characteristics from one dog to another and still manage to be among the most adorable breeds. Chiweenies are generally cool dogs with moderate activity. This does not mean they are boring. They are pretty active but not notorious. 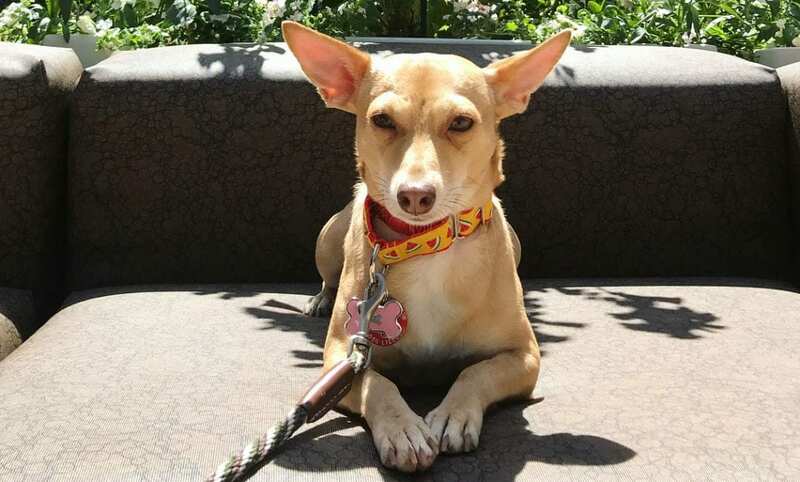 If you are looking for a dog that behaves like a gentleman, then Chihuahua Mix is your best bet. Chiweenie likes spending time with family. They want to play with kids and rest among family members when there is no much to do. If you love a lap dog, then Chiweenie should suit you. He/she will follow you everywhere from your car to your bedroom as long as you allow. For this reason, it is also important for you to set boundaries. Without boundaries, your dog will not be ashamed to be with you anywhere. Young puppies of this breed may be stubborn. You will have to give them a lot of training to reduce their activity levels. However, as they grow, they start calming down. They are also clingy and will be jealous of other pets at home. She wants you for herself so if you are planning to have multiple pet babies look for another breed. This means that you may have to avoid other pets, although they can still be trained to live with them. Chiweenie is a dog that you can live with anywhere. They will survive in town and big cities as well as in farmland. Dachshund chihuahua mix can live in an apartment and can also live in large homes. They are generally less active so you must give them a daily walk to ensure that they are active. This breed also requires regular bathing. The good news is that their coat is low maintenance. However, you will have to make sure they are cleaned from time to time. Their training may be somewhat tricky since the young Chiweenies are very stubborn. However, with proper training, they will be obedient and will follow all your commands. Chiweenie is a designer dog originating from a designer dog. This is one of the most interesting facts about this breed. Most designer dogs are cross breeds of original breeds. However, Chiweenie is set apart by the fact that Chihuahua was itself is a designer dog. So where did a chihuahua originate from? 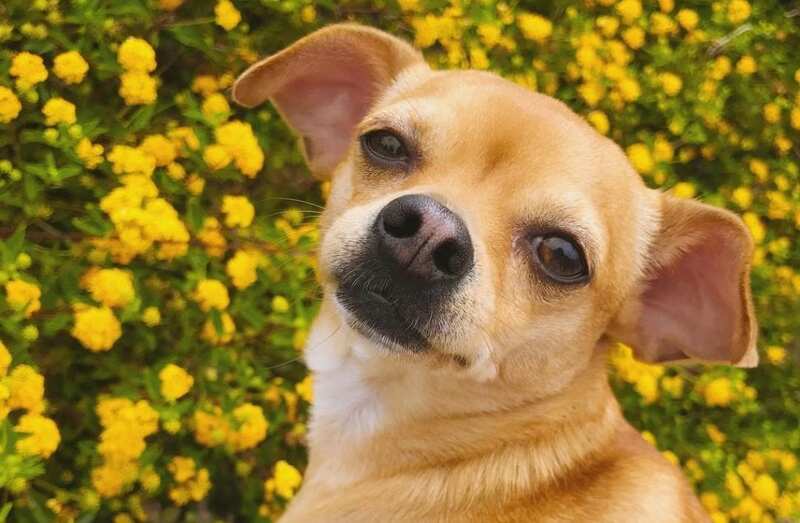 Chihuahua, one of the parent breeds to Chihuahua-dachshund mix has been around for more than 300 years. Although its exact origin is a subject of controversy, it is believed that it was first bred in Mexico. Some people have suggested that it originated from Asia while others have suggested Egypt. Chihuahua is in the records as the smallest dog breed of our age. Chihuahua itself is a cross breed of the Techichi dogs with the Asian Hairless dogs. 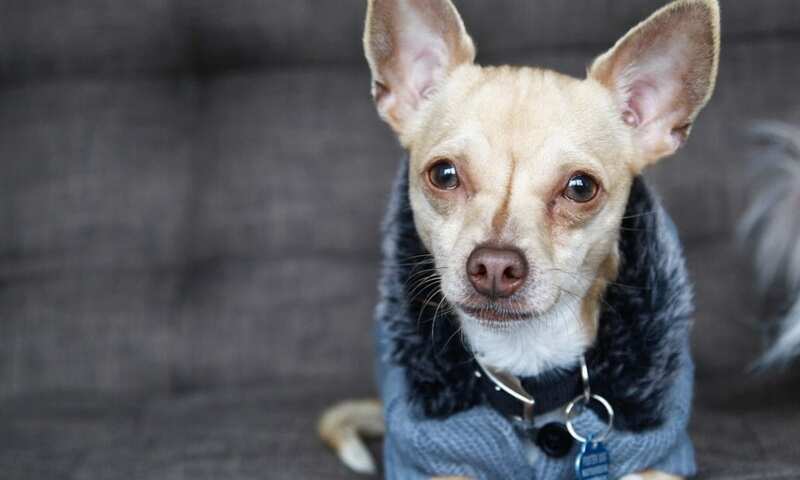 While it is not clear whether the occurrence of Chihuahua was accidental or intentional, it is believed that this tiny dog was trendy in the early years. Chihuahua was introduced to the Us in early 1800. The breed’s popularity kept on growing throughout the century. Its popularity came to a peak in the late 1800s. By 1900, Chihuahua was common in most households in the United States. In 1904, Chihuahua was officially recognized by the American Kennel Club. Since their recognition, Chihuahuas became popular and have even featured in several TV shows. The dachshund has been in existence for a very long time too. There are records that refer to this breed from as early as the 15th century. This is also a designer dog that was designed by Germans for badger hunting. They have short legs to excavate badger, rabbit and fox tunnels. Their backs are also very strong since they were custom to withstand the weight of their job. The Dachshund first landed in the United States during the 1800s although there is no exact time record. The American Kennel Club recognized the breed in 1935. Chiweenie breeds we have today these 20 years old. Although there is no exact story as to how the first Chihuahua Mix was bred the first breeding was done in the 1990s. They are known to share the genes of the Chihuahua and the Dachshund. There are many Chiweenie breeders in America today. However, most of them cropped up after the breed had become famous. The popularity of the Chihuahua-dachshund mix grew in the mid-90s and has continued to grow until today. Chiweenie is believed to inherit its lap loving behaviors from the Dachshund. Although the Dachshund adequately for hunting, today it is a lap dog. The process of finding a Chiweenie is as tiresome as the process of finding other breeds. Although the dog has been around for quite some time, the breed is still pretty scarce. 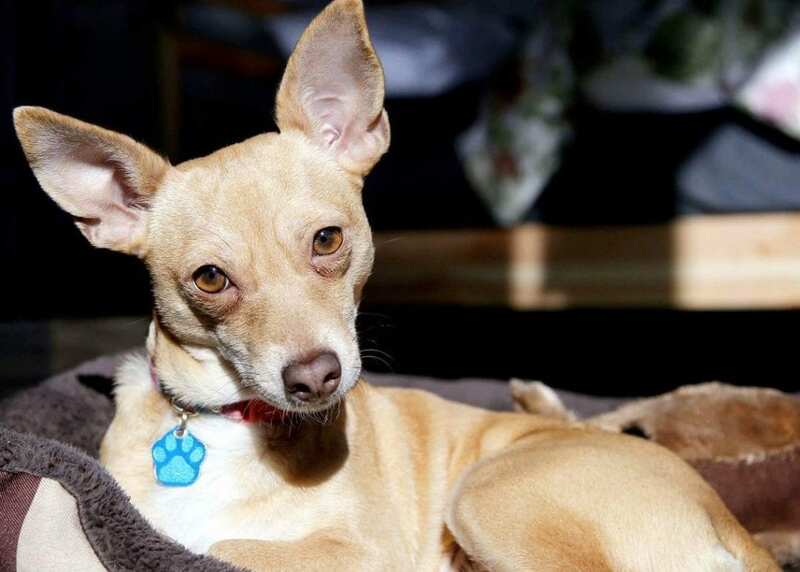 Chihuahua-dachshund mix is also an adorable dog with a lot of lovable characteristics. As it is with finding any other dog breed, you will have to research the best breeders around. Finding a reliable Dachshund Mix breeder should be your biggest task. However, if you chose to find a Chiweenie through another means that should not worry you. The other means you can get your loving Chiweenie home is through adoption and buying from personal owners. Some people would love to sell their Chiweenies without selling them to breeders. You can search for such dogs through sell and buy Facebook groups and websites that link-up pet owners. However, when you are going to buy a pet from an individual owner, you should be careful. It is recommended that you have a veterinarian check up the dog before you buy it. It is common for people to sell their pets when they develop health complications. You should also ensure that Dachshund chihuahua mix you buy is properly trained and does not misbehave. 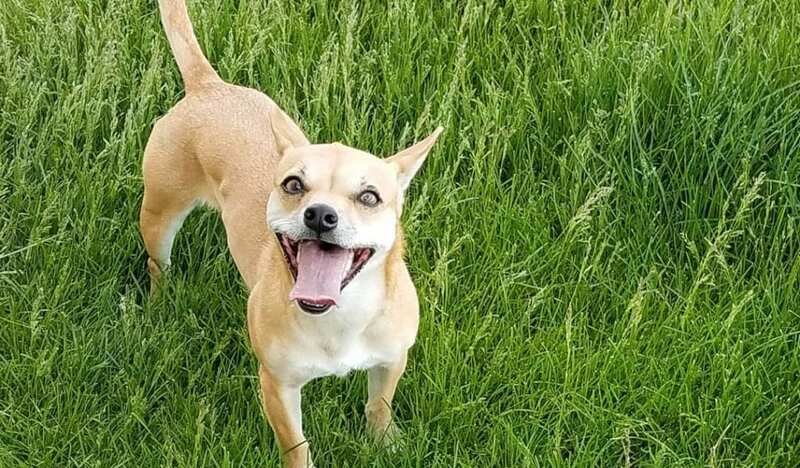 If you are looking to find a Chiweenie in a rescue center or a shelter, you may not be as lucky to find the exact match. As already mentioned, Chiweenies may have several variations in their appearance. 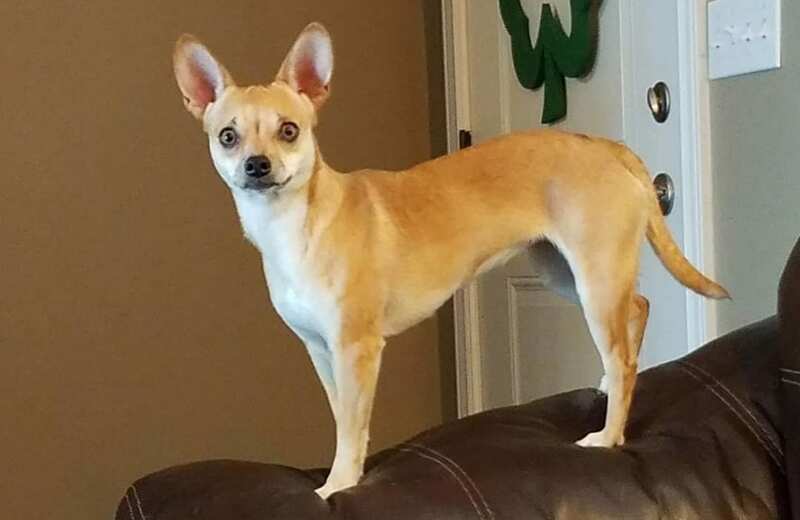 If your target was to get a Dachshund chihuahua mix with long and floppy ears, you might be forced to take one with short ears. The long ear Chiweenies are generally more loved than their counterparts. This may explain why finding a long and floppy-eared dog may not be easy. If luck is on your side, you may get your exact match at a shelter home. The lifespan of most dogs will always depend on their health conditions. Chiweenie being a mixed breed dog has less susceptibility to diseases as compared to other breeds. However, the health of every dog depends on how you keep them. By feeding your Chiweenie well, vaccinating and regularly washing him, you can help increase his life by up to 5 years. Generally, Chiweenies have a lifespan of 13 to 17 years. This is 100% dependent on the type of care and protection you give. As already mentioned, the dog needs love and attention. Any emotional distress may mean you lose your dog even five years earlier to his lifespan. Proper care of Dog may help you have him/her around for up to 19 years. However, this is in rarer cases. Maybe the first question you should ask yourself is when do you consider a Chiweenie full grown? Most Dachshund chihuahua mix will attain their total growth at the age of 2 years. Once dog is full grown, there will be significant changes in its characteristics as compared to puppies. Dachshund chihuahua mix puppies are generally more stubborn and active than the full-grown Chiweenies. Although a full-grown Chiweenie is not very stubborn, he is generally loving and moderately active. When we look at their parents, a full grown Chihuahua will weigh around 6 pounds. On the other hand, a full-grown dachshund will weigh around 11 pounds. The weight of a full grown Chiweenie is drawn from its parents. As already stated, the Chiweenies may have significant variations in size and appearance. Dachshund Mix may weigh between 5 and 10 pounds. Their average height is 8 inches at the shoulders although some may be significantly smaller. Any full grown dog should have the built body of a Dachshund. Others may have long floppy years while some will not. Some dogs will have short while others will have a medium length coat. The Chihuahuas- one of the Chiweenie parents- are dogs. Besides the fact that they are home mates, they can learn about anything in just a few days. The Dachshund, on the other hand, is also a smart dog. If genes are anything to go by, the Chiweenie is a very smart dog. He will understand what you tell him and follow commands well once he has been taught. However, teaching him the commands may not be as easy as you want. This brings us to the question of how trainable are Chiweenies. The first rule is that you must train your Chiweenie at an early age. As early as your dog has been vaccinated, you should start the training process. This is particularly crucial when it comes to Chiweenies. These dogs are not very easy to train. As already mentioned, they are smart but not easy to train. Some people have suggested that maybe they are too smart to follow commands blindly. The Chiweenies are usually so stubborn when young making it hard for someone who is not a professional to train them. When you think your Dachshund chihuahua mix is ready for the necessary life lessons, call a trainer or enroll him in a puppy class. You may also try training him personally but do not get your hopes up. You may be disappointed at how your dog ignores your commands. However, once the Chiweenie has learned all that there is to learn, you will never have a problem with him. He will do anything you want whenever you want. Chiweenie is a mixed breed dog and how its coat behaves mainly depends on the parents. They also have huge differences in appearances and coat; hence one dog may shed differently from another. The most important factor to consider when buying a dog is the outward appearance. There are those with medium coat hairs and those with small coat hairs. The shedding of most dogs is usually related to the size of the coat hairs. The dogs that shed are usually dogs with a double-layered coat. However, every dog that has hair sheds. There is nothing like a non-shedding dog. The standard Chihuahua, the parent of a Chiweenie, has short smooth coats. The Long coat Chihuahua has a more shaggy appearance and sheds seasonally. The Dachshund, on the other hand, maybe long-haired, short-haired, or medium haired. They also shed seasonally just like any other dog. The Chiweenie will shed depending on its appearance. The dog that inherits a short hair coat will need minimum grooming and may not shed as much as a medium haired Chiweenie. Some dogs inherit the long-haired coats from their Dachshund parents. In this case, you will have to brush your dog daily. This kind of dog also comes with increased demands during the shedding season. The Chiweenies are the most unpredictable puppies you can wait for. When you book a dog, it is not possible to tell which coat they will come with. However, it is clear that whichever the coat every dog sheds. The Chiweenie breed is one that is very unpredictable. One will have long hairs another will have completely short hairs. Some will shed less while another will not shed more. Generally, it is an accepted fact that a hypoallergenic dog sheds less. However, this is not entirely the truth. A dog may cause an allergic reaction due to other factors. For instance, the dog dunder and silver may be the cause of the allergic reaction other than the hair. With that said, the Chiweenie is a dog that sheds. It does not shed a lot, but it still sheds just like any other dog. If you are looking for a dog that does not shed, then the answer is not the Chiweenie. However, this does not mean that this dog will cause an allergic reaction. Generally, you need to find out what is causing the allergic reaction when you interact with a dog. Some individuals can interact with one dog without a problem and get an allergic reaction from another dog of the same breed. When looking for a hypoallergenic dog, the best answer is always trial and error. In general, double coat short-haired dogs are more likely to cause an allergic reaction. So if you love a Chiweenie and would love to have one consider going for the long-haired ones. Allergic people have successfully raised the long-haired Chiweenies without problems. In case you prefer a yes or no answer then your answer is no, the Chiweenie is not hypoallergenic. This is just the case with most dogs. Although it is one of the most tolerable dogs to allergic people, you cannot rule out the possibility of an allergic reaction. If your allergy is mild to moderate the Dachshund Mix may work for you. Anyone with severe allergies should stay away from the Chiweenie. Chiweenies are mixed breed dogs and are generally healthy. However, the fact that a dog is a mixed breed does not make it immune. Dachshund Mix may suffer from various diseases just like other dogs. 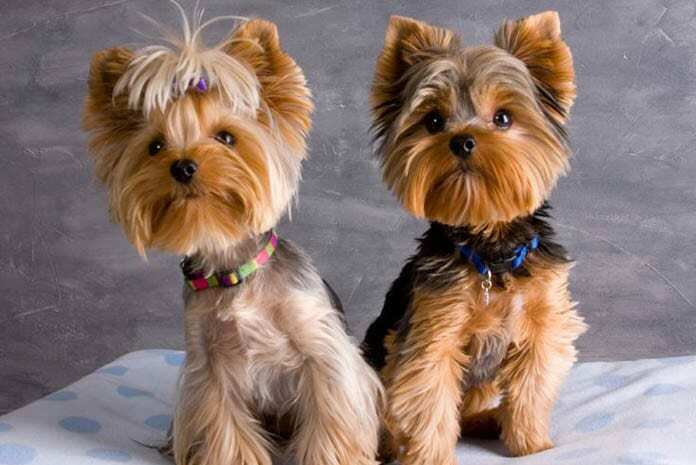 This breed is susceptible to dog diseases that affect small and toy dogs. Even though the Chiweenie has a lifespan of 13 to 16 years, any exposure to diseases may drastically cut down its lifespan. To ensure that your dog remains healthy at all time, feed him on properly balanced diets, protect him from the cold, keep him in a hygienic environment and most importantly vaccinate your dog every year. 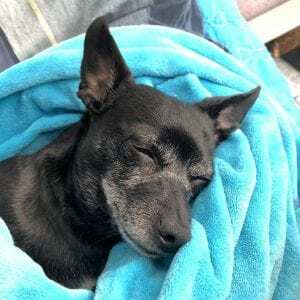 When well protected, a Chiweenie is less likely to suffer from any severe health condition. Here are some of the possible health issues that a dog may experience and how to counter them. This is a condition in which your dog’s kneecaps fall out of place. Although it is relatively rare, it mainly occurs in small size dogs, and the Chiweenie may be a victim. The dog may experience problems walking. This is usually the first symptom. If the condition is not treated immediately, the dog may become lame. The good news is that dogs that suffer from this conditions usually do not feel any pain. However, too much limping may cause inflammation. Essential is an eye problem that mainly affects small dogs. Some Chiweenies may affect dogs such as cataracts, but they are not prevalent among crossbreed dogs. This condition affects the cornea by causing an opacity. The good news is that it does not result in loss of vision. It can be treated or can be left alone. However, the dog may experience blurred vision or have problems seeing at night. Dogs can always adapt to the situation even with a total loss of eyesight. All dogs can experience hair loss. When your dog starts losing too much hair, it is time to get it checked. In most cases, hair loss is usually a symptom of an underlying disease. Black-Skin disease is the most common cause of hair loss among dogs. The Chiweenie may also be a victim of hair loss if not well protected. Make sure that your dog lives and sleeps in a clean place. Clean their hairs regularly and treat them when you see any sign of infections. The most common health issue with Chiweenies rises from their parent -Chihuahua. Chihuahuas are inherently very allergic. They experience allergic reactions to food, the environment and sometimes contact people. There are dogs that may experience the same reactions. Some of the symptoms of an allergic reaction include itchiness, dry skin, irritated skin, rashes, hair loss, skin sores, coughing, and vomiting. These symptoms may also be signs of other health complications. The first thing you should do when your dog starts developing such conditions is to call a veterinarian. The cost of a Chiweenie is relatively moderate. This, however, will also depend on the time you buy your dog. There are seasons when the dogs are generally trendy, and the cost may rise and vice versa. There are three main factors involved in the cost of buying and keeping Chiweenie. Buying a Dachshund Mix will cost you between $200 and $550. This is relatively a good price for a designer dog. However, the cost may go as high as $800 depending on the dog’s appearance. Given that the Chiweenies have varied presentations, breeders always try to cash out on the most loved looks. For instance, the long and fluffy eared Chihuahua mixes may cost you more than the ones with short ears. Other factors that may influence the price include the coat color, the color of the eyes, the size of the dog, and the size of the hairs. Generally, long-haired, small-size, and blue eyes Chiweenies are more expensive. When you buy your puppy, you will also have to buy a collar and a leash for starters. You will also need to buy some dog clothing if you live in a cold place. This should cost you approximately $300 to $ 400. The yearly expenses on your dog will include licensing fees, medical checkups, vaccination, flea prevention, training, and other emergencies. The total cost of these services may be around $ 700. However, the amount you spend on your dog also depends on how much you want to spoil him. Some people spend up to tens of thousands per year just buying their dogs some fancy stuff. You can cut on cost by buying your dog gear from the less expensive online stores. You can also reduce costs such as training costs by doing the tasks on your own. There is nothing as important as choosing the right breeder in the entire dog searching process. The Chiweenie breeder you chose will play an important role in the kind of dog you take home. The puppies are usually a reflection of where they came from. The process of choosing a breeder should be clear in your mind even before you start searching for a dog. Here are the steps to follow when choosing the right breeder. The worst mistake that most people do is to meet the first breeder and make a deal. Before you make a deal with any breeder, meet more than just one. Visit their breeding ground and make general observations. Listen to their terms and conditions then take your time to review them. After you visit three or four breeders, you will understand why the breeder play a significant role in the kind of puppy you buy. You will be able to make an informed decision and get yourself the best puppy. Some breeders will ask to do the entire transaction without showing you where your puppies are kept. Some will even decline a physical meeting and demand to transact online. While online shopping is as easy as a click, not everything should be bought online. You need to see the environment where the puppies live before you buy one. The reason why you are paying money is so that you can choose the puppy you like. Any breeder that does not allow you to make a selection of your choice is not worth your time. Chiweenies are very diverse in looks and letting someone chose for you may mean that you get something different from what you want. Most people will just tell you the price of the puppy without telling you that you may have to pay for other costs. Ask your breeder to give you a full quote and their services. Some breeders will give a free collar and leash while others will sell to you. You may also be forced to pay for transportation. All these factors should be made clear before you get into any agreement. Your breeder should also be clear when you make a deposit. Never agree to pay a deposit to a breeder with a non-refund policy. You should be refunded your money in case you do not get a puppy of your choice after the birth. If you are a dog lover, the best thing you can ever do is to adopt a dog. Every year, there are almost 2 million dogs that are lost and lack a home. Getting one of these dogs and giving them home would be a very generous gesture. 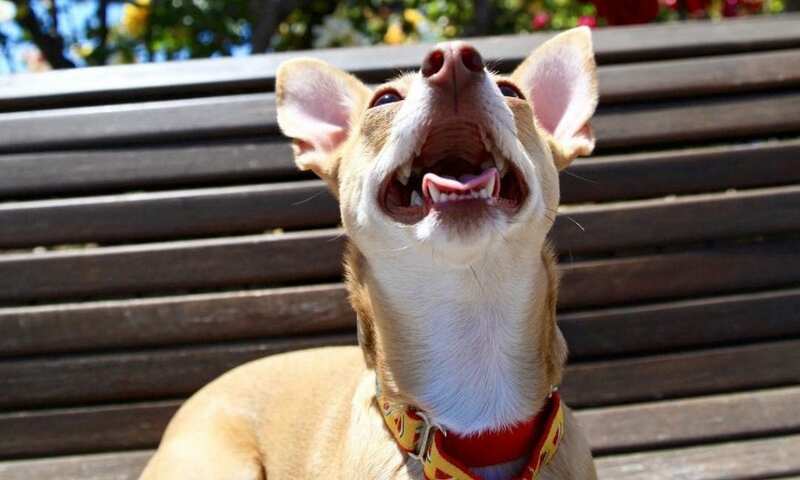 When it comes to a Chiweenies, the process of adopting one is pretty easy. First, find a dog rescue center or shelter next to you. 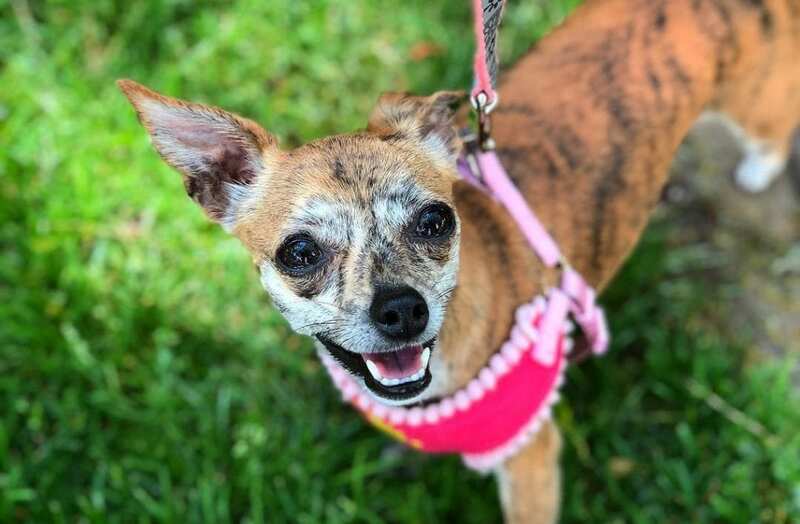 In some places, you may have to travel a long distance before you find a rescue center entirely dedicated to the Chihuahua mix. Although it is also possible to find a Chiweenie in a rescue center for other breeds, when dogs are rescued, they are first taken to the nearest rescue center before they can be transferred to a custom rescue center. Once you find a dog rescue center, place your request to adopt a Chiweenie dog. You will be asked to give a description of the dog you would like. If you are lucky, you may find an exact match to your preferences. However, chances are that you may have to settle for a dog that is slightly different in appearance to what you had in mind. If you do not manage to get a dog in the nearest rescue center, you can check around in other rescue centers. You may also be asked to add your name to a waiting list. In cases where the specific dog you want is not available, some people opt to wait. However, Chihuahua mixes are pretty common and getting one to adopt may not be a very big problem. The problem is usually finding one that is an exact match to your description. Generally, adopting a Chiweenie will cost you between $0 and $250. Some shelter homes will charge a small fee for detergents and cleaning services. However, you should avoid adopting mature dogs unless you have checked their characters. Any mature dog that has not been trained properly may be a source of distress at home. Chiweenie is a cross breed of the Chihuahua and the Dachshund. They generally love and close dogs. Dogs love attention and are very jealous of other pets. They are usually small in size and may have long floppy ears. Their physical characteristics vary widely from one dog to another. They are very smart but also very stubborn. Buying a Chiweenie will cost you between $200 and $550. However, you can also adopt one for free or at a fraction of the cost.